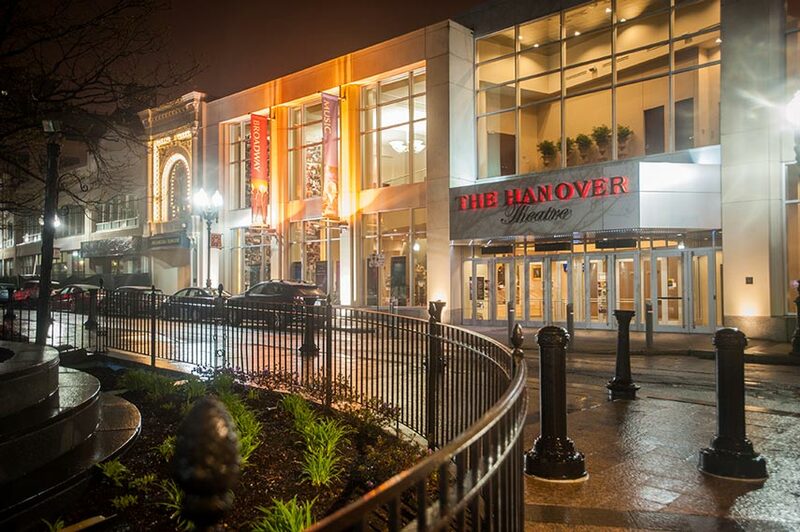 The Hanover Theatre for the Performing Arts is a 2,300 seat theatre that draws over 200,000 patrons annually and is situated in the heart of Downtown Worcester. The theatre hosts top tier Broadway plays and musicals, premiere comedy acts, notable musicians and bands, and various other performances. Worcester Center for Performing Arts is a registered non-profit and is the owner and operator of The Hanover Theatre for the Performing Arts. Surprisingly to many, at the time of the restoration endeavor, Worcester, MA was the largest city in America without a theatre for the performing arts. The vacant and declining Poli Palace Theatre in Federal Square caught the attention of two local Worcester businessmen prior to 2008. Ed Madaus and Paul Demoga had a vision as they looked around Federal Square when most people felt the structure was useless and destined for the dustbin of history. Several Private and government contributions enabled the restoration project which totaled over $32 Million. The interior of the structure features incredible ornate detail along with several historical treasures. The restoration also added an elevator and a phenomenal state of the art sound and lighting system. 551 Main Street is a three story building adjacent to the theatre. The Worcester Center for Performing Arts purchased the building. The center is at the heart of the City of Worcester Theatre District Campaign which was launched on June 2, 2016. The building will host a restaurant on the ground floor as well as office and administrative spaces and function spaces on the second floor. The Worcester Center for Performing Arts will use the basement level to enhance and expand its youth and outreach programs.